Išlipimo langas WLI skirtas tik neapšildomoms patalpoms. Išlipimo langas WLI yra į šoną atidaromos konstrukcijos. Gali būti atidaroma į dešinę arba į kairę pusę. WGI turi dviejų grūdintų stiklų stiklo paketą 4H-10-4H, komplektuojamas su sandarinimo tarpinėmis. 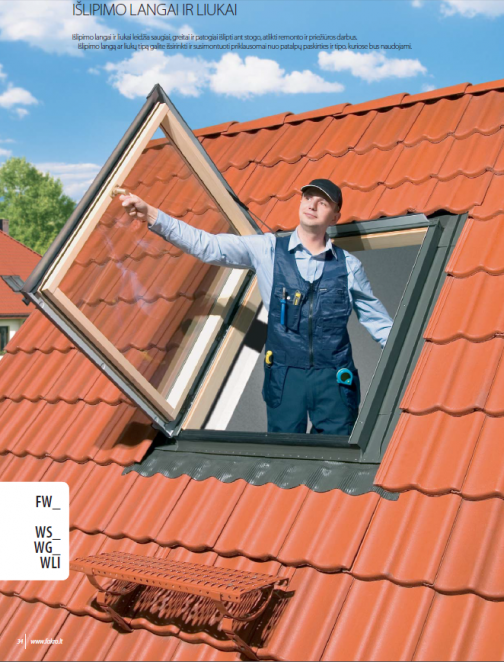 The WLI roof access window provides fast, easy and safe access to the roof for maintenance and repair. Large dimensions facilitate usage and provide good lighting of the space. 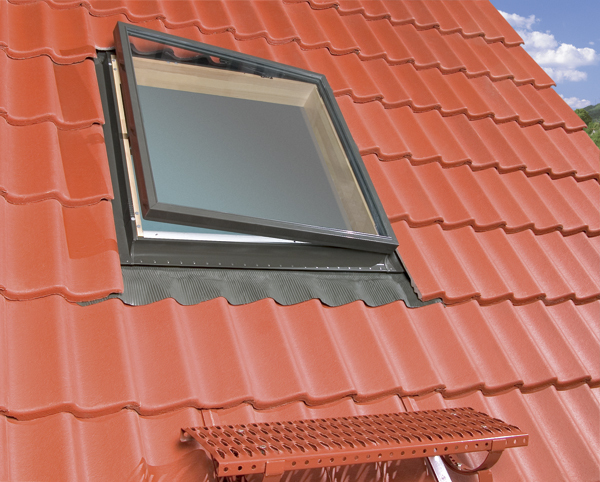 The WLI roof access window is intended to be installed only in uninhabitable rooms. The WLI roof access window is a side-hung window with the struc- ture of a flap. It can be installed in such a way as to be opened to the right or to the left. The applied turn limiter holds the sash stable when opened and prevents it slamming shut accidentally. In the lower part of the roof access window there is installed a specially shaped profile which covers the frame and prevents slipping while getting onto the roof. The designed shutting system enables locking of the roof access window in three positions hence space ventilation is possible.